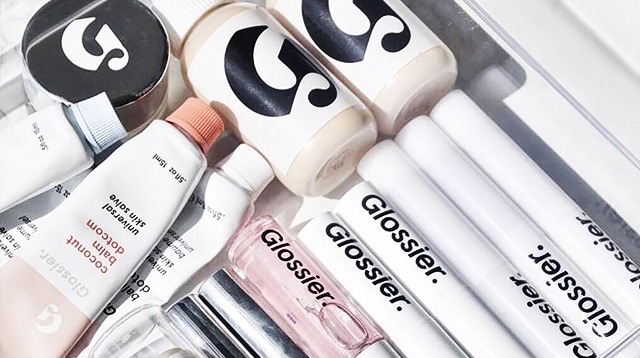 When NYC-based beauty brand Glossier announced that they would be offering international shipping, we thought, "Finally! We can start ordering (and hoarding) our favorite products from them." But sadly, that wasn't to be the case. According to Into The Gloss, they will be going international "country by country," so they can make sure to "nurture each new community." That sounds great and all, but thinking about waiting for a couple more years before we can get our hands on their Boy Brows, Cloud Paints, and Milky Jelly Cleansers is really hard—plus, who knows how many more products they'll be releasing until then??? If you're just as gaga over Glossier as the Cosmo.ph team, read on for three ways you can get your hands on their products sooner rather than later! PRO: It's the easiest AND fastest way. Online stores like Calyxta, Make Up Pro Store, Wasteland, Coolest MNL, and The Make Up Bar already have the products on hand, so you just have to add them to your cart, enter your shipping and payment details, and wait for a few days for them to reach you! CON: Because the demand for Glossier is high in the Philippines, you have to be quick with your online shopping skills since most of them can get sold out in a matter of hours. PRO: Shipping couriers such as Johnny Air, Borderlinx, and Shipping Cart basically give you a U.S. address you can have your orders sent to. Then once they receive them, they will be the ones to ship your package to your address in Manila, or to their nearest office where you can pick it up. And it only takes a matter of days, depending on how quickly they receive your orders from the U.S.
CON: There's always the danger of your package getting "lost in the mail," or it takes forever to get past customs here, and shipping fees that will leave you shookt. Being a beauty addict is definitely not cheap! PRO: Yay for balikbayans or relatives and friends who are traveling to the U.S! These people love you, so obviously they'll buy it for you. Just make sure to list down ALL of the Glossier products you want—and if needed, pay them the exact amount once they get here! CON: They only come home once every few months or for Christmas, so a little waiting should be expected. At least it's safe, right?